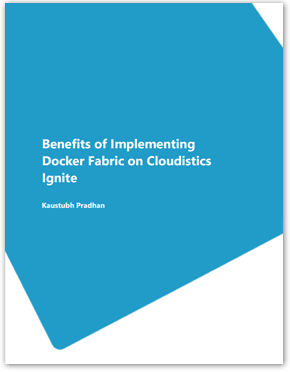 "Benefits of Implementing Docker Fabric on Cloudistics Ignite"
Docker has become one of the hottest things in IT. The open platform for developers and sysadmins makes it possible to build, ship, and run distributed applications, whether on laptops, data center VMs, or the cloud. For those IT organizations that want the simplicity and scalability of the cloud, but on-premises, Cloudistics delivers the first full end-to-end, enterprise class Docker private cloud environment right out of the box. With deep integrations to both the open source and enterprise Docker platforms, Cloudistics Ignite combines the raw performance and simplicity of a superconverged infrastructure with the ease, security, and portability of a Docker fabric.